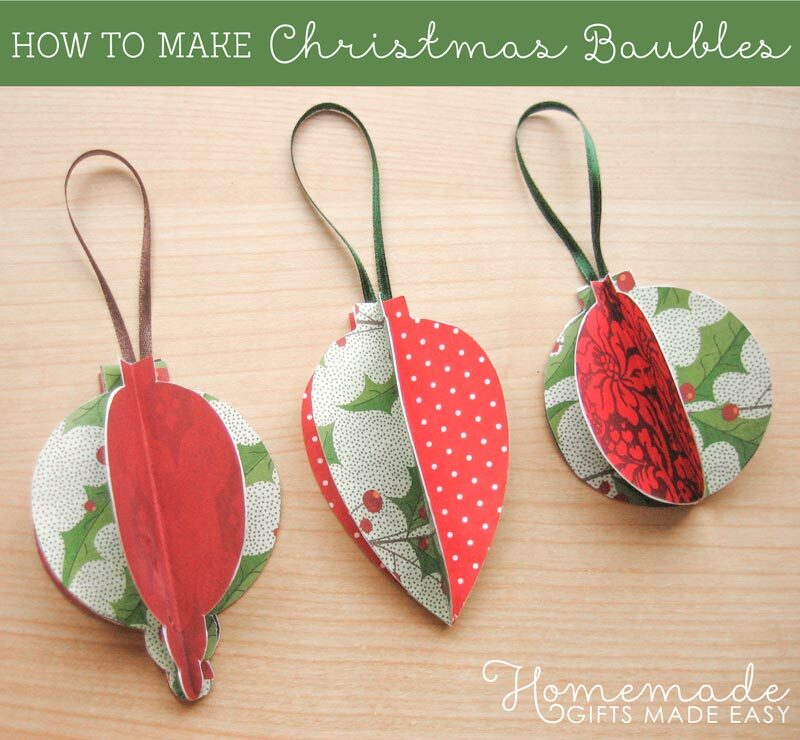 Looking for homemade Christmas ornaments to make? 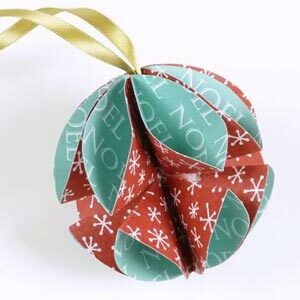 On this page you'll find an easy tutorial for how to make three super-cute paper baubles. If you are looking for more ideas, take a peek at my gallery of more homemade Christmas decorations at the bottom of this page. 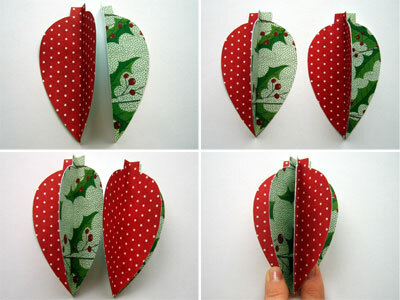 Print out the free Christmas decoration template, and cut out one of the shapes. 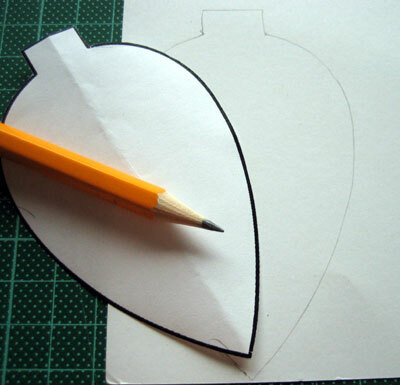 Now, trace around this shape onto the back of your coloured paper. I like to use two different types of patterned paper (but don't hold back if you want to make them even more colourful!). 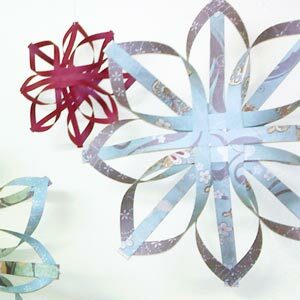 For the two-tone decoration, you'll need to cut out two shapes from each patterned paper, plus one spare for the back (this can be patterned or plain card). 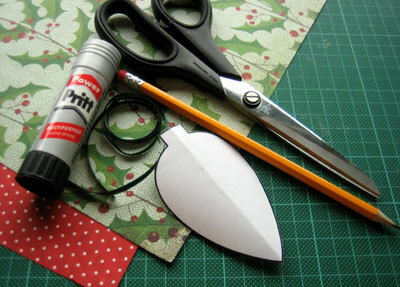 Fold four of the cut out shapes in half (pattern-side facing inwards) to make a crease down the center of each shape. Now you are going to assemble your paper bauble. Firstly, take two shapes from different patterned paper. Spread glue along half of one of the shapes, and press it firmly agaist the matching half of the other shape. Repeat with the remaining pair. Now you need to glue half of one pair to the matching surface of the other pair (look at the lower left photo to see what I mean). Now you're going to glue the ribbon in place and add the backing to your Xmas decoration. 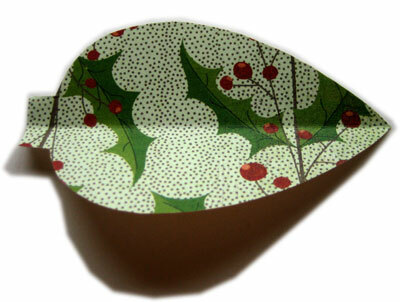 Lay the decoration flat on a surface, with the un-glued sides facing you. Now add a small amount of fabric glue to the center crease, and press the ends of your small loop of ribbon in place along this crease. Cover the back of your decoration with the spare cut-out shape, covering up the ribbon attachment site, and providing a flat back for your Xmas ornament. Allow your decoration to dry, and now you're done! Don't they look wonderful? 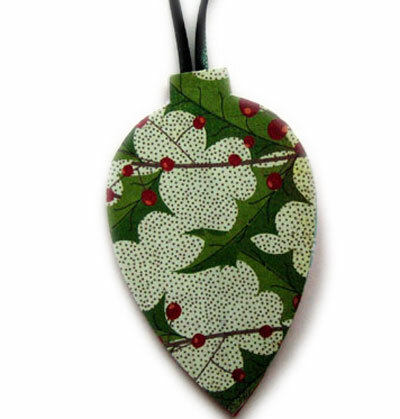 So much cheaper than store-bought ornaments, and they add such a festive feel to a room. 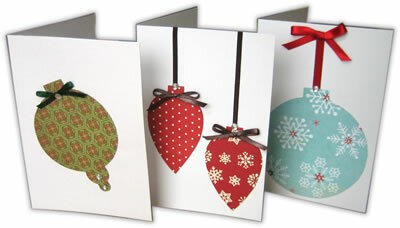 Its really easy to convert these flat-backed ornaments into fuller, rounder decorations. You'll need to cut out 8 shapes instead of the 5 required for the flat-backed ornament. Follow the steps above twice-over, until you reach the ribbon gluing stage. 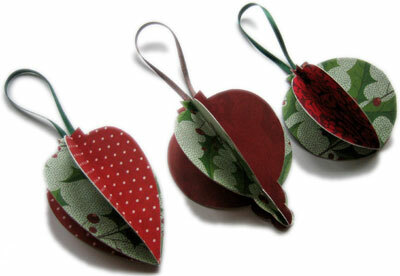 Secure a small loop of ribbon in the center crease of one of your half-ornaments. 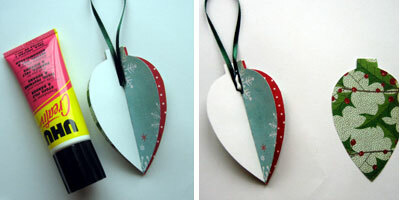 Now simply glue the other half ornament in place (instead of adding a flat back). Press together all the edges firmly to make sure they are glued down, and that is it! Simple! 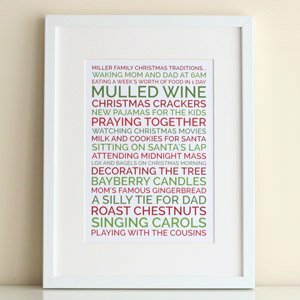 Perhaps you have seen this project already, but if not, this template is also useful for making handmade Christmas cards.